Zcash vs Monero vs Dash - What is the Best Privacy Coin? Which are the Best Privacy Coins & Why? When bitcoin first launched in 2009, the digital currency quickly became synonymous with the Dark Web and criminal activity. However, bitcoin is actually not anonymous and transactions can often be linked to a person’s real identity. Unlike privacy coins like Monero and Dash, every bitcoin transaction can be traced to its point of origin. That being said, a recent study found that bitcoin remains the most widely accepted cryptocurrency on the Dark Web, with Litecoin, Dash, Bitcoin Cash, Ethereum and Monero coming in at 2nd, 3rd, 4th, 5th and 6th most accepted respectively. However, among these 6, only Monero and Dash provide high levels of anonymity. Zcash, while not popular on the Dark Web yet, has some unique characteristics that distinguish it from other privacy coins. Users can choose between shielded (anonymous) and non-shielded transactions. Zcash is also designed to protect against a potential flaw that Monero and Dash do not protect against. Anyone can view the bitcoin transaction ledger. Every transaction can be traced between bitcoin addresses and this information is publicly available. In addition, know-your-customer identify verification mandated by most cryptocurrency exchanges, allows third parties to match bitcoin wallet addresses with real-world user identities. Privacy coins differ from regular cryptocurrencies such as bitcoin, litecoin and ethereum. To obfuscate user identities, coins like Dash and Monero mix-up and anonymize transactions as they are processed. However, no two privacy coins are created equal. Dash (DASH) is regarded as the best privacy coin for everyday cryptocurrency users. These being people for whom privacy is important, but not to the extent that it is for Edward Snowden or a government spy. Unlike some other privacy coins, Dash can be exchanged without privacy safeguards in place. 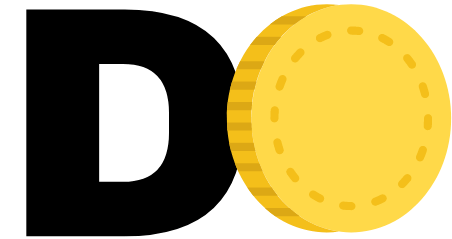 Coins can be transacted just like regular forms of cryptocurrency. Alternatively, Dash coins can be transacted using an easy ‘Private Send’ wallet feature when privacy is required. Coin mixing isn’t unique to Dash. Coins like bitcoin can be mixed in the same way and exchanged accordingly. However, Dash is the only cryptocurrency which automates the mixing process and makes mixing entirely optional. As a bonus, over 2,000 worldwide merchants currently support Dash. This makes Dash a cryptocurrency that is easy to pay with anonymously. This might explain why Dash is currently the most used privacy coin on the Dark Web. The easiest way to buy Dash would be to use a credit card on Changelly, however this is not anonymous. However, if you use bitcoin to buy Dash at Changelly then you can do so anonymously, though if you buy large amounts at once Changelly may require ID verification. One of the best places to buy Dash anonymously is to first buy bitcoin at Changelly or Coinbase and then send the bitcoin to Binance where you can trade it for Dash without providing an identity verification. Monero (XMR) became infamous in 2017. Namely, due to the coin being touted as the preferred choice of cryptocurrency for Dark Web users and fears that it would overtake bitcoin as the Dark Web currency (though this has not occurred yet). Created in 2015, Monero mixes coins sent between addresses in a similar way as Dash does. First, a Monero wallet sends funds. Funds are then deposited in several ‘stealth addresses.’ Only after mixing do coins then reach recipients. However, Monero takes user anonymity one step further. Unlike Dash, privacy safeguards with Monero are not optional. All funds which are sent and received are anonymized as standard. When using Monero, anonymity is default. Like Dash, if you want to buy Monero anonymously, first buy bitcoin at Changelly or Coinbase and then send the bitcoin to Binance where you can trade it for Monero anonymously. Instead of Binance, you can use Gate.io, though there is less liquidity. You can also buy it at Kraken or Bitfinex, though doing so will require you to verify your identity and lose your anonymity. Zcash (ZEC) was designed and built by academic and professional cryptographers. Edward Snowden even called it “the most interesting Bitcoin alternative”. Dash and Monero blockchain technology make it easy to transact cryptocurrency 100% anonymously. However, both privacy coins have one potential flaw. Even when transactions are mixed and when ring signatures are used, hard data still shows different amounts of Dash and Monero moving between different wallet addresses. To provide total anonymity, Zcash (ZEC) does not record any transaction data, aside from the time a transaction has taken place. Using a peer-reviewed zero-knowledge form of cryptography (called zk-SNARKs), Zcash confirms transactions without recording the real or mixed wallet addresses of both sender and recipient. Developers refer to this as a kind of ‘https’ security standard for money. Zcash uses two different types of wallet addresses: those starting with a “t” are transparent and details of the transaction similar to bitcoin can be viewed, whereas addresses beginning with a “z” are shielded transactions that provide user anonymity. As a result, Zcash, in practice, offers the most robust level of user privacy currently on the market. Like Dash, the easiest way to buy Zcash would be to use a credit card at Changelly, however this would not be anonymous since you’d use your credit card. One of the best ways to buy Zcash anonymously is to first buy bitcoin at Changelly or Coinbase and then send the bitcoin to Binance where you can trade it for Zcash without providing an identity verification. However, both of the methods above would get you Zcash that is for “t” (transparent) addresses only. In order to get private “z” level Zcash you need to first set up a Zcash wallet that can support shielded addresses, such as WinZEC. You can then use ShapeShift to send Zcash to your private “z” address. The other option is Zcash mining. Contrary to popular belief, privacy coins aren’t designed to encourage illegal purchases or money laundering, though some criminals do use them this way (just as they do with cash). They also have very significant real world benefits, such as in repressive regimes, where dissidents and journalists can use digital money in a safe way. Privacy coins protect users from being traced in real life. Just like cash in your wallet can’t be traced back to you when you spend it, neither can privacy-oriented cryptocurrencies. Because of this, privacy coins are becoming increasingly popular and (for the most part) hold value much better than many other cryptocurrencies because they are actually put to greater use.